The most well-known foodie delights of the South include Devonshire clotted cream slathered on warm scones and traditional Cornish Pasties. 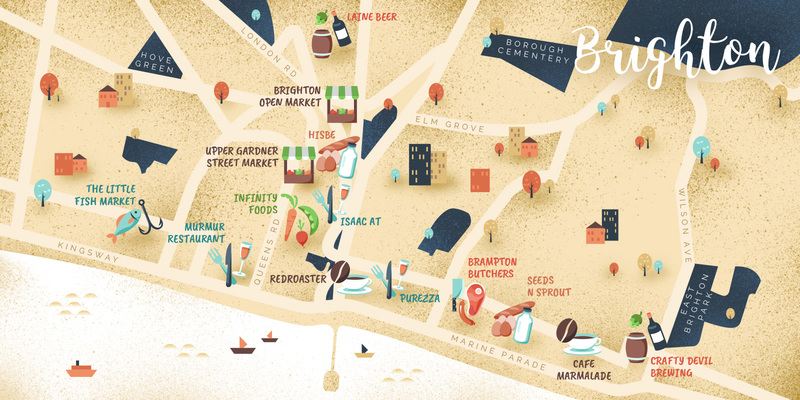 But, for this region, we’ve chosen to focus on one of the most vibrant, lively cities in the South; Brighton. This fashionable seaside city has long been famous for its fish ‘n’ chips (namely, defending them from seagulls on the pier – a must for your Brighton bucket list!). 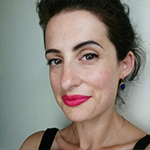 But as Fran, who runs The Graphic Foodie, tells us, it’s not all salt and vinegar in Brighton’s foodie scene. She’s shared her recommendations for the best ethical eats in Brighton. Create your own Brighton feast with a 110cm range cookers. Switching to real bread has had the biggest difference to my weekly shop and I can’t go back to supermarket bread now! Real Patisserie is my local bakery that now has several stores around the Brighton and Hove area, each independently run with their own in-house bakery. I’ll pick up a few loaves to fuel the family; mainly their famous Chewy Brown and the Wheat Sourdough. They also have a really tempting range of glossy patisserie and interesting savoury pastries too. Seed and Sprout sell healthy staples and free-from foods as well as fresh produce and are convenient for me – it’s proved to be a superb neighbourhood grocery. Here I’ll normally stock up on my store cupboard dry essentials like grains, pulses, dried fruits and cereals. The majority of these are Infinity Foods branded, who are a fantastic supplier of high-quality organic and natural foods, and are based in Brighton too. 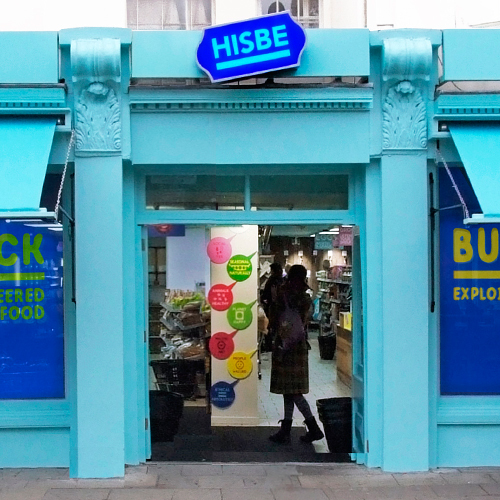 Hisbe (which stands for How It Should Be) is another asset to Brighton alternative shopping market. They are a unique independent supermarket and a social enterprise model, putting customer, supplier and employees first before profits. 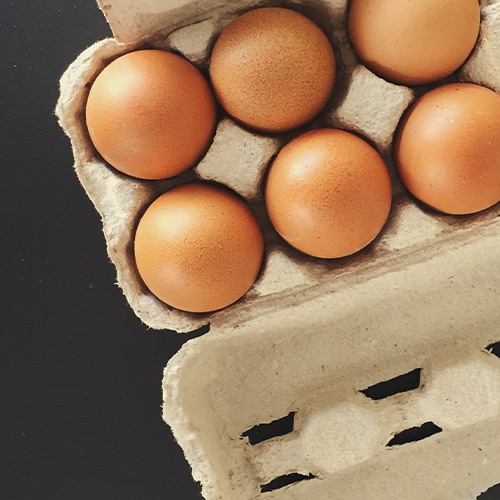 Here you’ll be able to shop the local heroes from the Surrounding Sussex area like Sheffield Farms meat, Turners Farm, High Weald Dairy, Alsop & Walker Cheese, Fin & Farm and Brighton newcomer, Knob Butter. Where should I buy meat & poultry? I visit the local butcher when I can or when there is a special occasion that requires a specific cut or quality. My local butcher is the award-winning Bramptons who my family have been using ever since I can remember. I even recall sawdust on the floor and the red carnation in the pocket of the butcher that used to work there when I went to primary school nearby! All of the meat for sale is free range and sourced from Sussex Farms, including the famous South Downs Lamb. Pork is from Plantation Pigs in nearby Steyning who were the first in the UK to adopt an entirely free-range system to commercially rear pigs. They’re also known for their own sausages, which are gluten-free, and their very well stocked cheese shop next door. 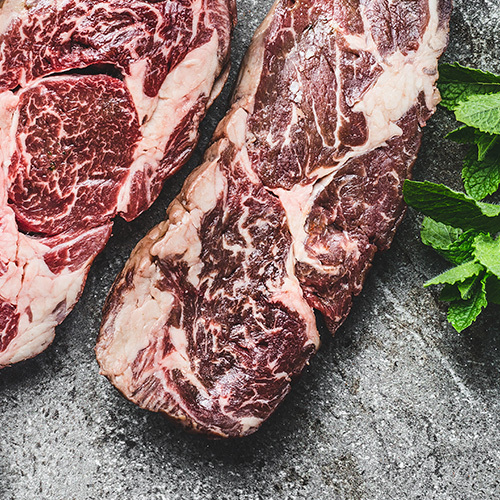 As with any butcher, the benefit lies in the face you’re able to order in specific cuts, as well as the preparation that Paul and the team always do with care. Sound cooking advice is a very welcome bonus. Where should I buy fresh fish? As well as supplying wholesale and to many of the good local restaurants, Brighton and Newhaven Fish Sales have a small retail outlet in Shoreham Harbour (the Hove Lagoon end). I’ll normally pop along on Saturdays after a visit to the nearby park with the kids. They love looking at all the fish eyes and teeth too! Here you’ll find one of the widest selection of fish and shellfish in the area. 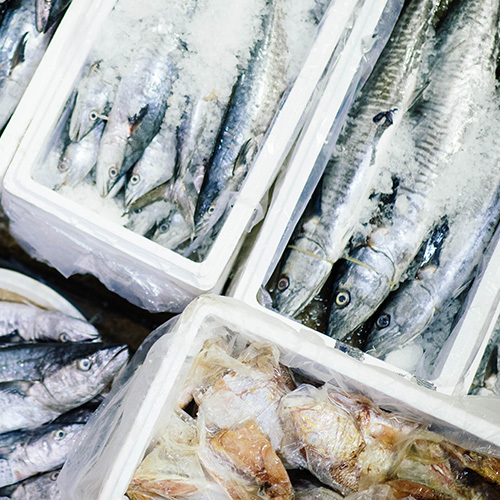 What they’ve done so well for the retail market, is reinvent the traditional fishmonger. The building is modern, light and bright and along with their skills and expertise, can offer a high quality and enjoyable (and reasonably pong free!) consumer experience. The main draw to BNFS, however, is the fact that they have their own fleet of inshore vessels that land their catch within hours, so the fish is the freshest it can be. The local area has a surprising bounty of fish; plaice, lemon sole, brill, black bream and even scallops through the different fishing seasons. Sustainability and seasonality are paramount to the entire operation, which are values that make me feel more comfortable in buying from them and is always appreciated by dinner party guests. Where should I buy fresh veg? Fin & Farm was born out of a love for good quality, ethically produced food. The focus is on keeping things as local as possible to ensure a small carbon footprint and the freshest food possible. They sell a selection of veg and fruit boxes – you can even order boxes designed especially for juicing. They really try to keep things as simple as they can – the boxes are the ones they receive from the farms they source the produce from. Once you’ve unloaded the box, you return it and it’s used again. The veg is delicious and always seasonal. They even do speciality salad boxes. This is a great place to pop in and pick up some locally sourced fruit and veg. They started as a tiny shop in the 70s, and since then have gone from strength to strength. The store is run as a co-op, and every year they donate some of their profits to local charities. They also donate all their unsold food to the local homeless shelters. Just around the corner from the actual shop, in Gardner Street, you’ll find the Infinity Foods Café where they serve delicious vegetarian organic food. 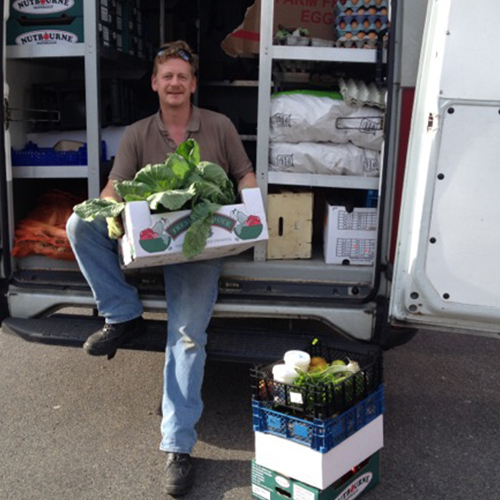 This is a great place to pick up some preparation tips for the fresh veg you have in your shopping bags! 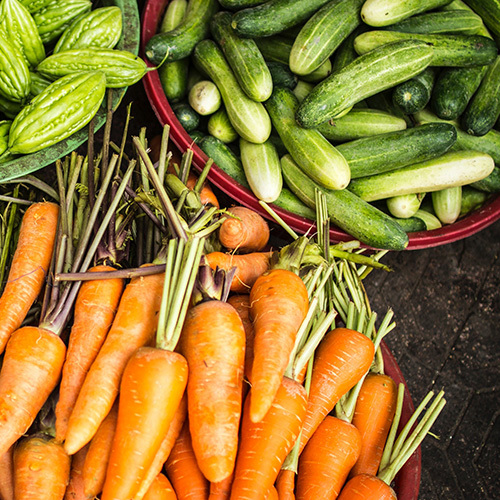 Where are the best farmers markets? 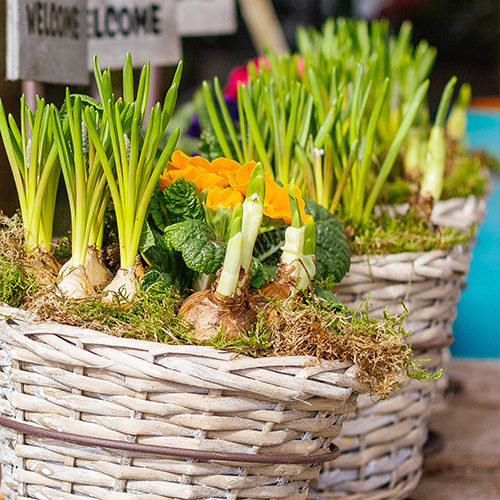 We’re lucky to have the Open Market as a permanent fixture in Brighton which includes some superb stalls. Recently redeveloped on a site which has traded in fruit and veg since the 30s, the covered market now includes artists’ studios and workshops as well as a wider mixture of stores. Still at the heart though are the foods traders, some of which have been there for generations, like Mear’s, and you can pick up some great bargains in fresh fruit and veg, fish and health food. Florence Road Market is on every Saturday and seems to go from strength to strength, with sustainability and community as its focus. Housed in the One Church Brighton courtyard, it also offers positions to vulnerable people within its community. 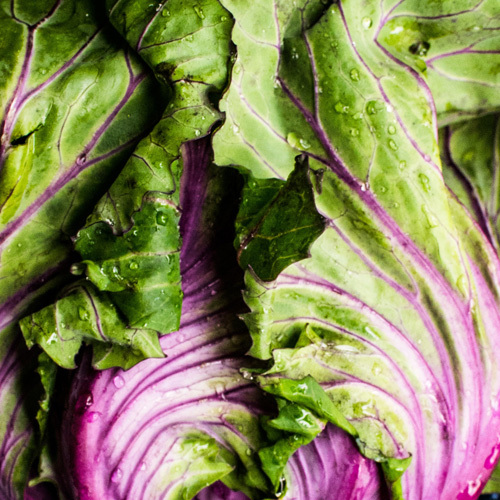 You’ll be able to pick up high-quality produce from local farmer-butcher Clacot Farm, fishmonger Louis’ Plaice, Flint Owl Bakery, greengrocery Rock Farm, and farm-direct oil from Mesto as well as health foods, grocery and preserves. Upper Gardner Street Market has been operational for over 90 years. Although much of the bustling market is non-food with antiques and quirky bric-a-brac, there are a small number of great fruit, veg, dairy and baked goods stalls. Where are the best restaurants & cafés? Isaac At have just celebrated their first anniversary as a permanent restaurant in Brighton. They're at the forefront of championing local produce and each ingredient is listed on the back of their menus to the proximity of the restaurant. The focus of the food is the frequently changing Sussex tasting menus, making the best of seasonal produce from the Downs and the South Coast. 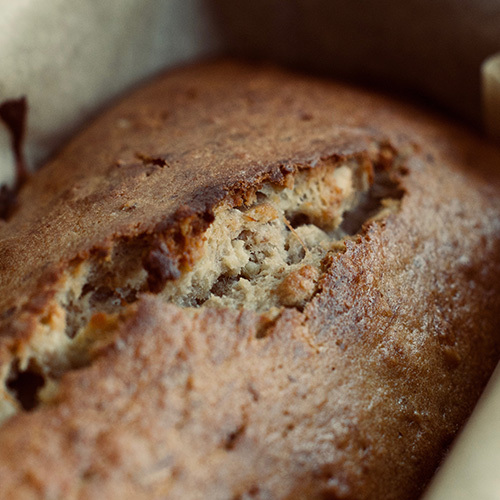 They support some of my favourite Sussex brands like Trenchmore, who not only offer phenomenal beef, but also their new line in heritage flour goes into the signature treacle and stout bread. Where are the best breweries? The craft beer movement has really boomed in recent years and Brighton has certainly embraced this and there are many breweries producing barrels of the good stuff. Burning Sky, Brighton Bier, Lost + Found, 2 Tribes, Laine Brewery, King Beer and Bedlam are all worth looking up, particularly in the craft beer pubs around the city. However, Sussex’s oldest independent brewery, Harveys, is still a strong market leader and their cask ales will commonly be found across the South East. 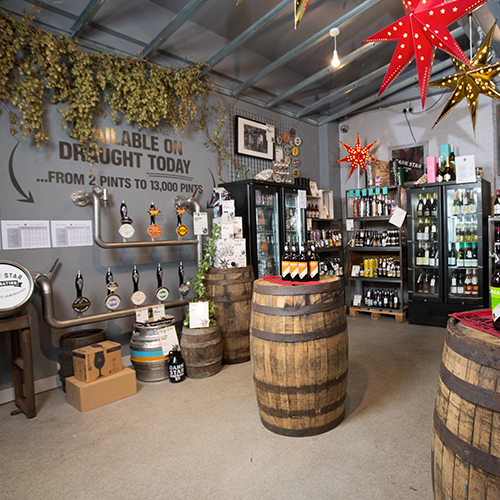 And starting from the cellar of The Evening Star pub by Brighton Station, Dark Star Brewery now operate from a 45-barrel brewhouse in nearby Partridge Green. Blackdown Spirits are based in the South Downs National Park and despite only being established in 2012, have won an impressive number of awards for their gins, vodka, liqueur including their incredible Christmas Pudding vodka. 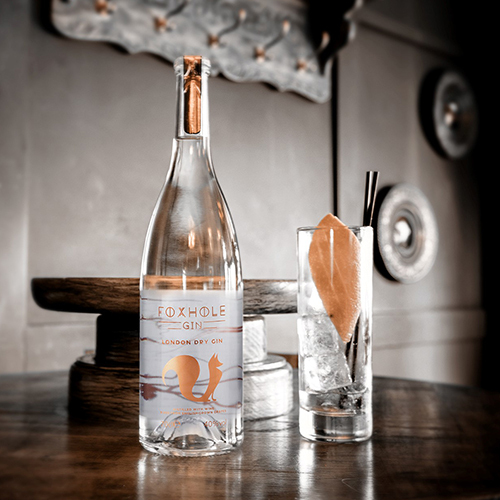 Also good are Chilgrove Spirits (particularly their Dry Gin) and the beautifully packaged Foxhole Gin, which is made using the excess marc from the production of wine from the Bolney Estate. 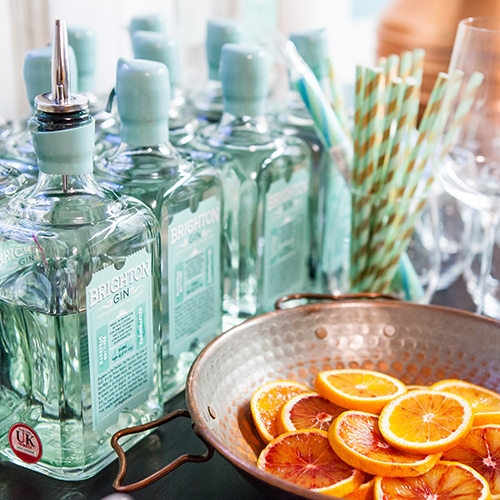 I suppose the most Brighton of drinks, however, has to be Brighton Gin which is distilled in the city and is served in large fishbowl glasses with a slice of fresh orange and, of course, a piece of blue Brighton Rock for garnish! 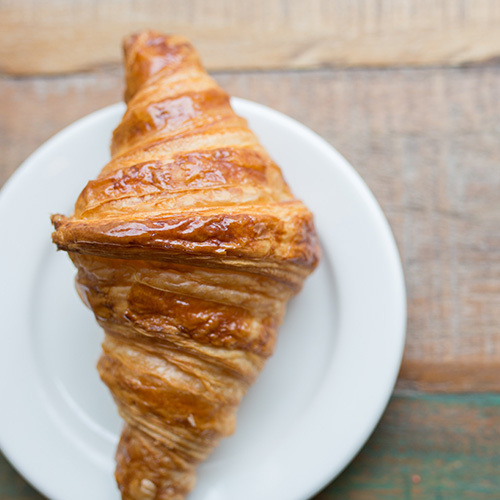 Where are the best independent coffee shops? You’re never too far away from a good cup of coffee in Brighton. Coffee shops form a huge part of the daytime culture here and you’ll find them in all guises from kooky to achingly cool. My favourite at the moment is Red Roaster that has undergone one of the most glamorous facelifts in the city. 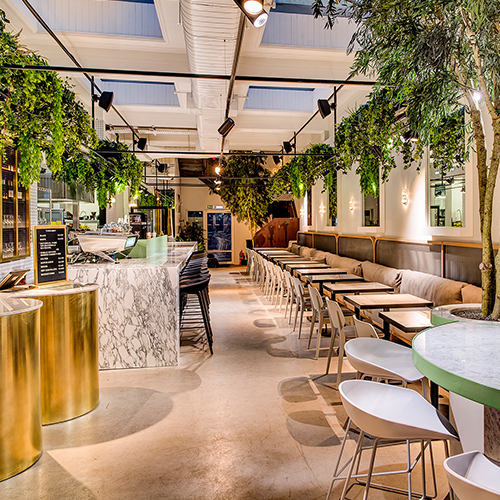 With endless marble countertops and an on-trend botanical theme, the history of Red Roaster could be lost behind its modernity. However, it was one of the UK's first specialist coffee shops and remains one of the only roasteries in the UK to be certified organic. They incentivise their bean growers above and beyond Fairtrade standards and support their own community projects for their farmers and their families. You’ll struggle to get a bad coffee from their state-of-the-art Kees Van Der Western machine, particularly with their signature Botanical Punk blend, which evolves depending on the season. I like their bold Sanctuary blend or if you want to go organic, then their Glasshouse coffee is for you. If I’m not in Red Roaster you’ll find me in Twin Pines, CafÈ Marmalade, Flour Pot or Pelicano - all exceptional in their own way. 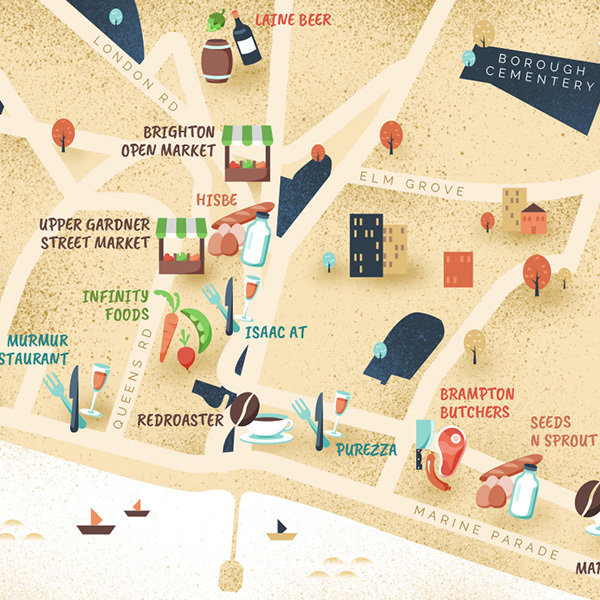 Brighton’s dining scene is as diverse as Brighton itself, from a growing area of fine dining to niche casual dining and regular street food markets. I would say there’s a particularly good selection of vegetarian, vegan and gluten-free options in the city and even restaurants that don’t specifically cater for these diets, will offer good options beyond the risottos or veggie sausage basics. 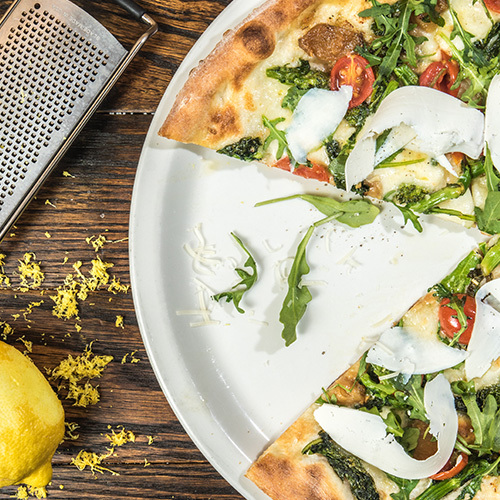 Purezza is unique in being the UK’s first plant-based pizzeria. They’ve created their own mozzarella alternative from rice milk, chickpeas and olive oil and offer gluten-free bases in addition to their traditional dough, which is matured over 48 hours. 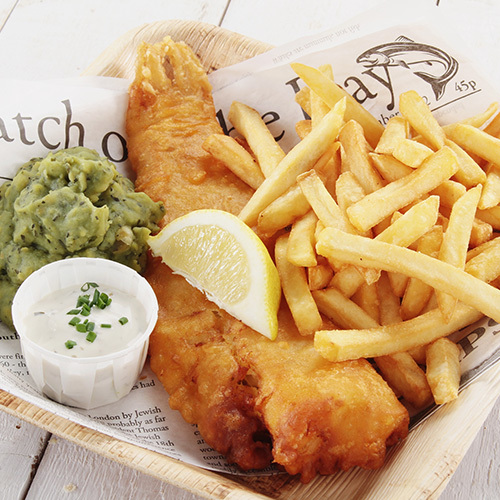 But most will visit Brighton expecting a good ol’ fish and chip supper by the sea, right? For a casual, yet stylish option I’d head down to Murmur, the new restaurant from the award-winning and nationally acclaimed 64 Degrees team. Here you can enjoy fresh grilled fish of the day with a view of the West Pier. But for an occasion, it has to be Little Fish Market. 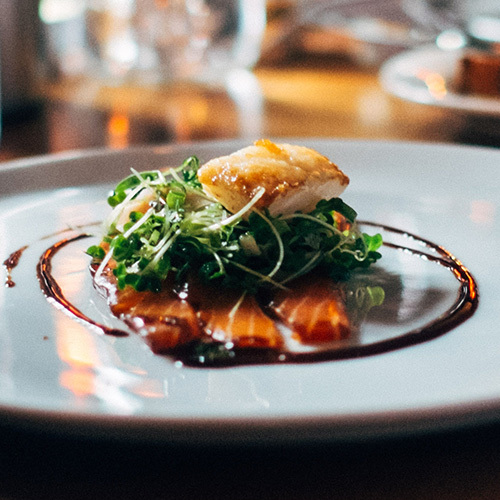 Owner and chef Duncan Ray has gone from strength to strength, serving elegant fish based taster menus that never fail to delight.